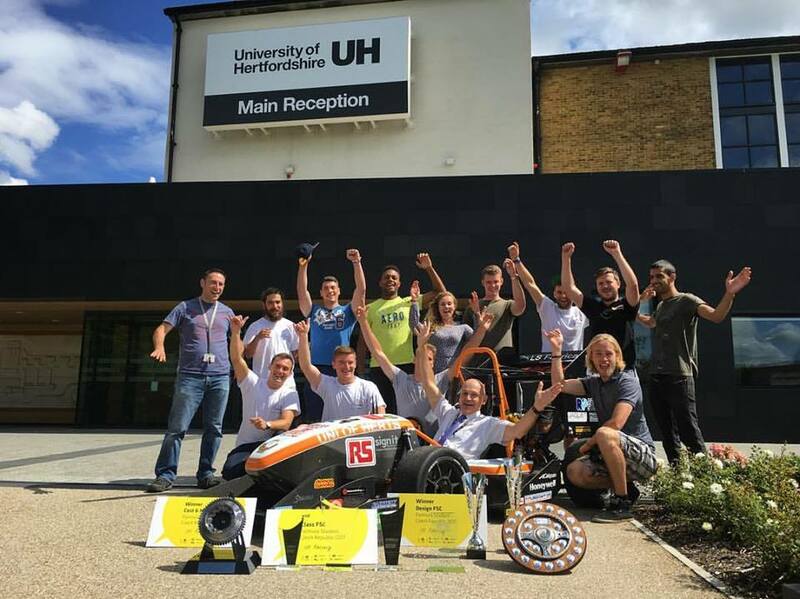 2017 marked the milestone of “20 Years of UH Racing”, and it certainly was a year to remember. 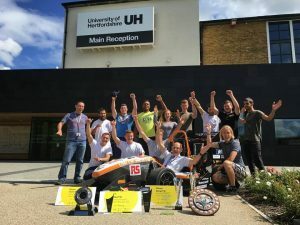 It was the first year for UH Racing to also take part in 3 FS events over the summer months; UK, Czech Republic and Germany. 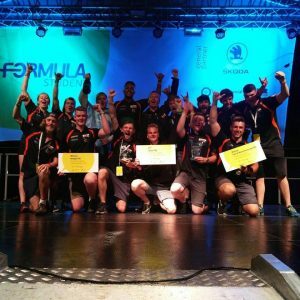 FSUK proved to be a very fulfilling event, with multiple awards achieved, including 1st place in the design event. Unfortunately, the car suffered with a brake pressure sensor failure and a battery fire, which drastically affected the performance for the Endurance event. 2017 was the first year for UH Racing to compete in Czech Republic, and without a doubt, it was one of the highlights of the year. 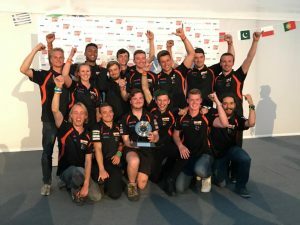 The team had a solid performance, starting out on a high of being the first car through scrutineering, and resulting in an overall finish of 2nd place, as well as winning the design event here too. Sadly, the good luck didn’t continue for the final event of the summer. However, for the majority of events, UH Racing were the top or within the top 3 of the UK teams. Thanks to UH19 winning ‘Best Prepared Car for Scrutineering’, UH20 was, again, the first car to pass through in the Combustion class. 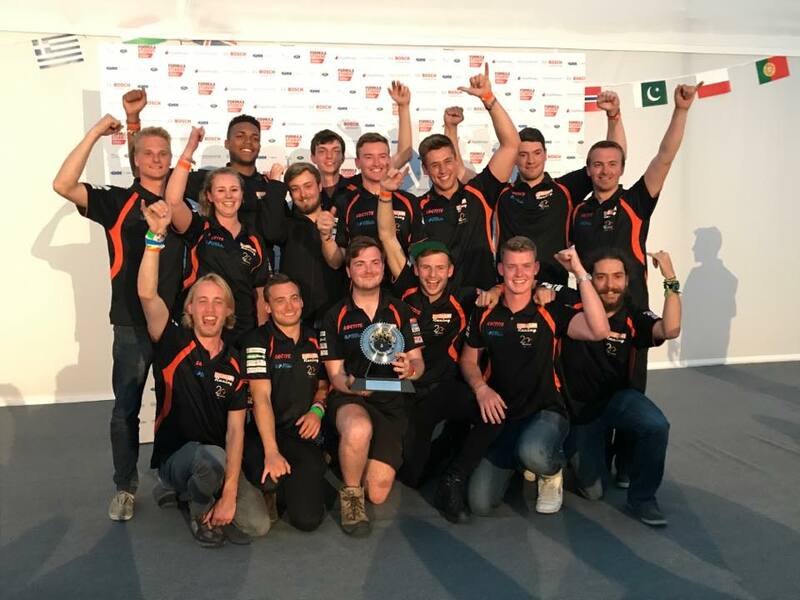 Although FSG didn’t prove to be as successful as its predecessors, the team still came away with their highest ever points awarded, and a record breaking number of awards, all adding to the name of UH Racing… UK’s Most Successful FS Team.